Winter is upon us. As Canadians we are used to the snow on our doorway, but what about driving through harsh winter conditions? He have done some research, and asked our drivers and staff about the best tips for driving on this winter weather. - Don’t speed, take your time. Try to drive at the legal speed limit, but slow down when you see icy or snow covered roads. - Leave room between your vehicle and the vehicle in front of you and the vehicles next to you. - Do not use tail lights of a vehicle as a reference for distance. When snow starts falling, visibility is low. This means that if you are able to see the lights of the vehicle in front of you, you are probably to close. - Know your driving limits. Be able to recognize which weather conditions are too severe for your experience on driving. - If you have to stop, STOP. It’s better to stop and keep yourself and the drivers on the road safe. If you decide to stop, do it on a safe place, like a parking lot or a rest area, not on the side of the road or on the shoulder of the highway, as other drivers may think you are still on the road and they might hit you. - Abrupt breaking can be very dangerous as it might lead to losing control of the vehicle. Instead slow down gradually until it’s safe to stop the vehicle completely. - Lastly, prepare your vehicle for harsh weather conditions. How? Make sure your defroster, heater are working properly. Make sure your windows are clean, you have enough wiper fluid. Check all your lights are working (brake and tail lights). You need to have the right set of tires and these need to be well inflated. Checking your breaks is crucial as well. We want to thank all Ship My Ride staff for their valuable insight and great tips! 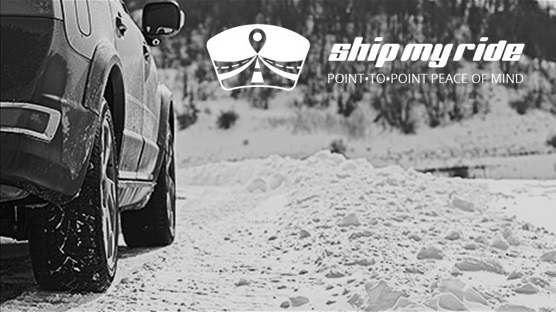 If you are relocating and don’t want to think about driving on highways during this winter, give us a call, we can ship your vehicle for you. We are here to help you, and we want you to be safe!